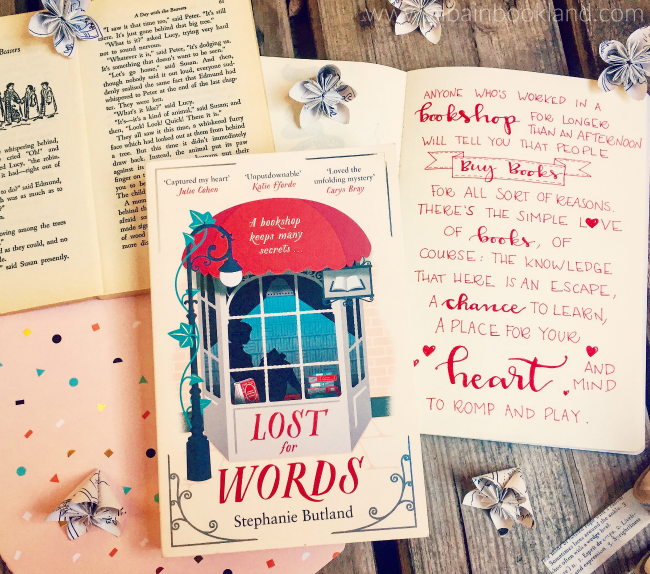 Review: I always love books about books so I couldn't resist picking Lost for Words, I mean, it even has a bookshop on the cover! As soon as I read the first few pages though I realized that this book was something special. 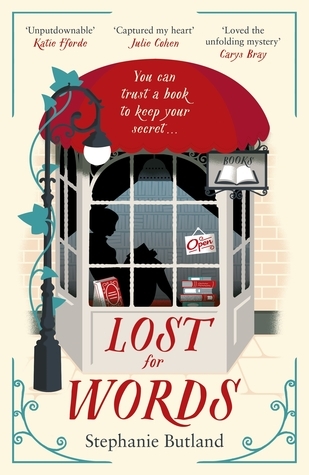 In fact, I would say it is a book lover's dream, with endless references to all our favorite books, charming and really interesting characters and the perfect setting, a bookshop full of rarities, surprises and secrets. The story is narrated by Loveday, a bookworm who works in a bookshop and who definitely prefers books to people. She keeps herself to herself. The only exception is her boss Archie. He has managed, over the years, to become a closer friend. But he doesn't know everything about her, she has managed to keep her past a secret from everyone. Thanks to flashbacks we get to know more about her story. The chapters titled History are all about her childhood and the ones titled Crime are from a few years ago. These really help us understand her better and with every new bit of information I became more and more engrossed in her story. I ended up really caring for Loveday and hers is a story I won't forget in a long time. But Loveday is not the only amazing character in the story. As I said, her boss Archie is one of the few friends she has and what a friend. He was a people person, easily chatting to everyone, with a lively social live and a certain eccentricity that far from making him arrogant and unapproachable made him endearing and generous. He would be a friend that we would all love to have and his relationship with Loveday was a joy to read. There were also other characters that played a big role in Loveday's story, like the magical Nathan, but I'd rather you discovered them for yourself. All I can say is that every single one of them felt real and managed to steal a bit of my heart. I am certainly gonna miss them. All in all, I cannot recommend this story enough. It had been a while since I had felt so involved in a story like this one. It is inspiring but heat-breaking, a real gem of a book that I have no doubt will be on my top ten books of the year.